Active Pest Control gained a new member of its executive leadership team with the promotion of Bo Lesley to CFO. Lesley joined Active in 2017 and served as the accounting manager and controller. His responsibilities included management of accounting operations, bookkeeping and financial reporting. Lesley also assisted the executive management team in establishing long-range goals, strategies, plans and policies. 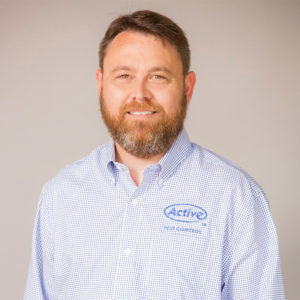 Active also broadened its executive leadership team last month by adding Kevin Anderson as executive VP, a new position in the company. Anderson’s new responsibilities include management of vendor relationships and financial budget management at Active. Lesley’s and Anderson’s promotions follow a year of expansion for Active. In June 2018, the company promoted three leadership team members, including Anderson, and added a new business development team and team lead. Active Pest Control is a privately owned pest control company offering residential and commercial pest control services, complete termite protection and wildlife exclusions. The company also offers mosquito, bed bug, cockroach, ant, and spider control, among other services. Active Pest Control is family-owned and has served the metro Atlanta community since 1985. The company operates 15 locations in Georgia and Texas.